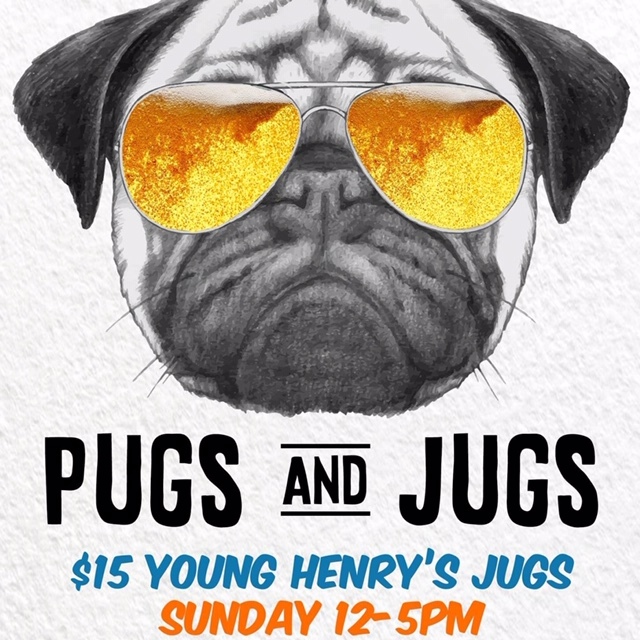 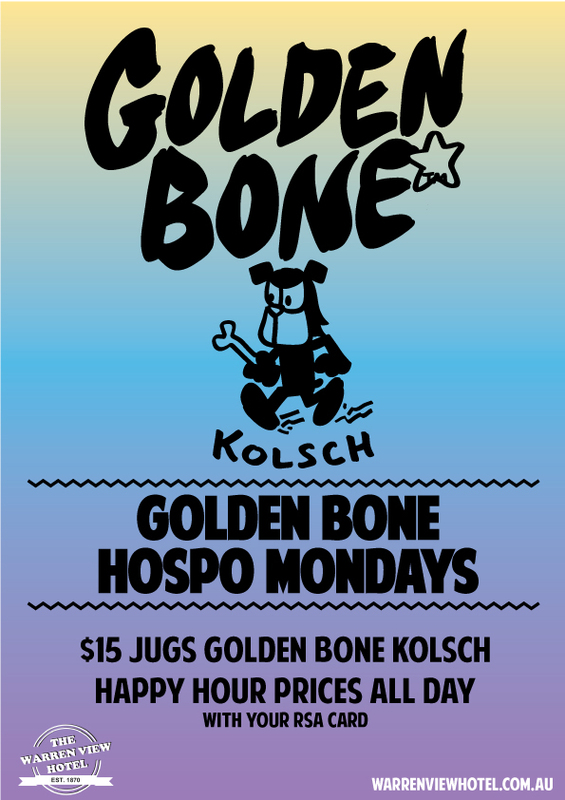 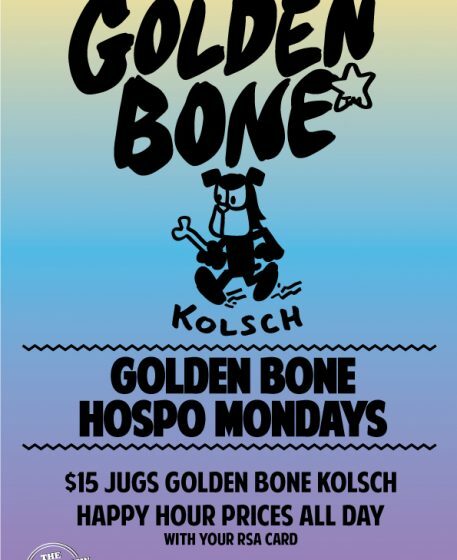 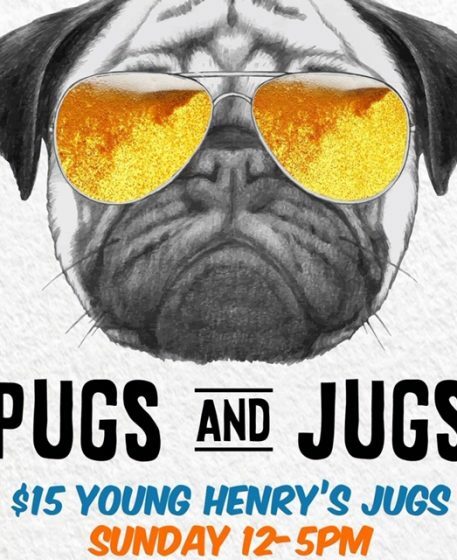 Present your RSA card for $15 happy hour priced jugs of Golden Bone Kolsch all day! 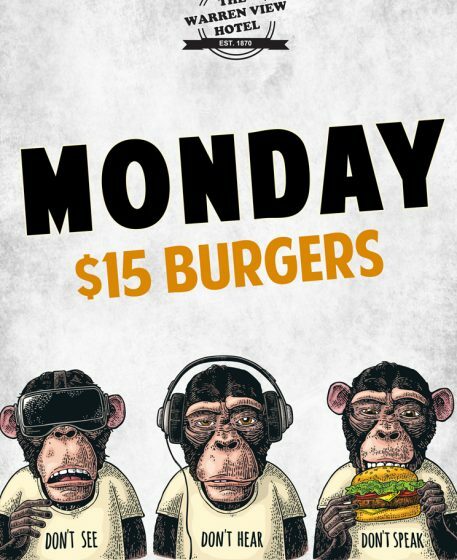 Enjoy our famous burgers for just $15 all day Mondays! 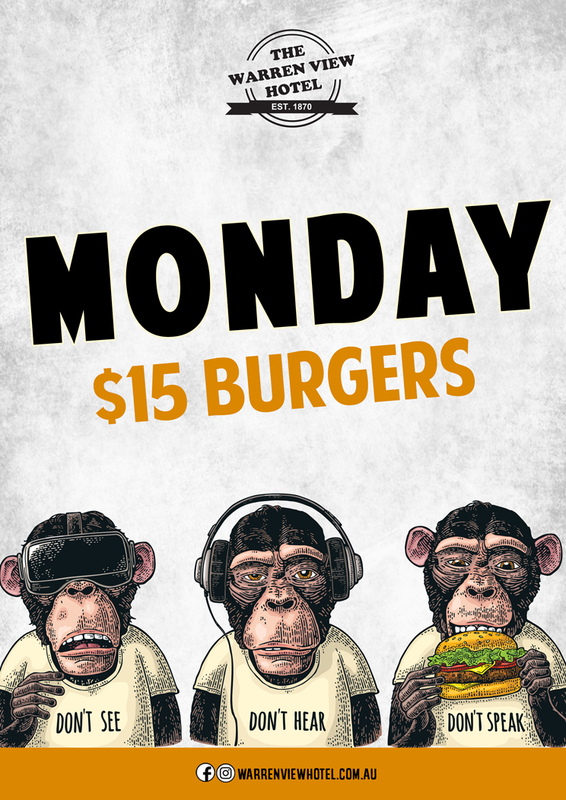 View the Warren View Bistro burger menu here. 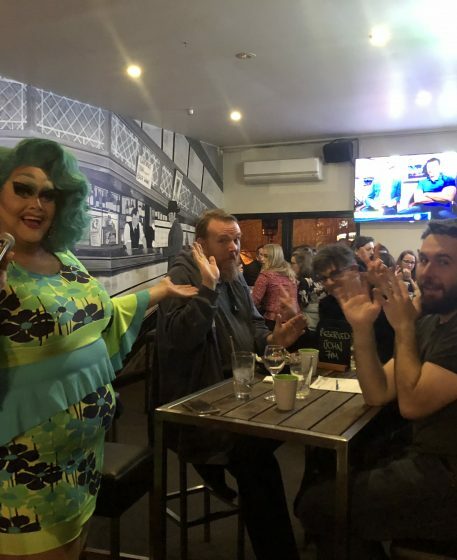 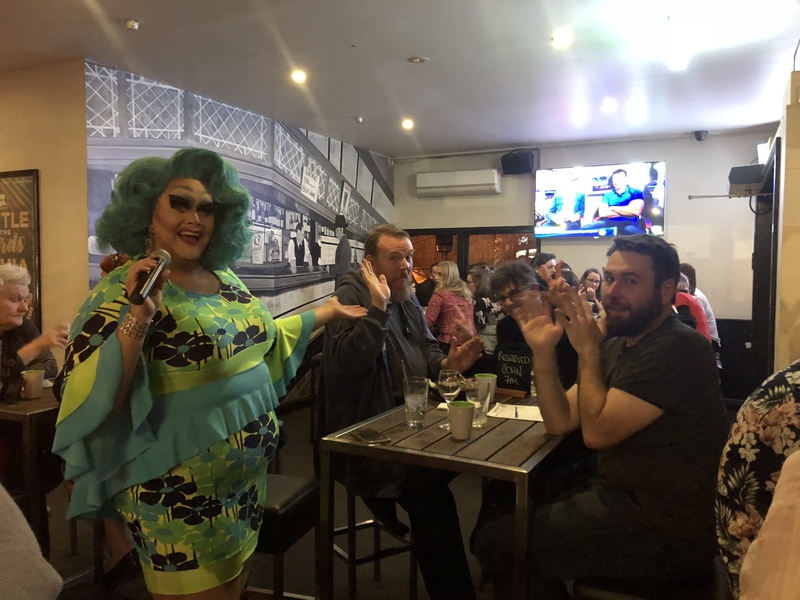 Come and play our Big Fact Hunt Trivia. 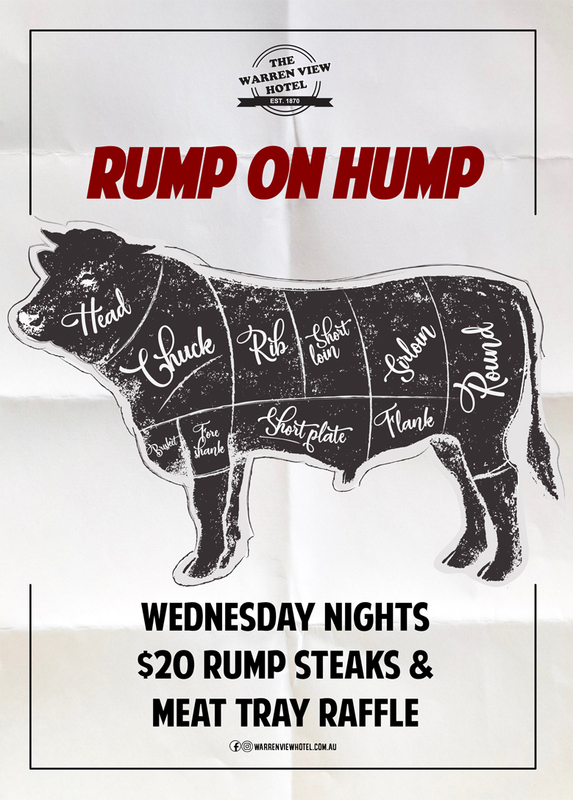 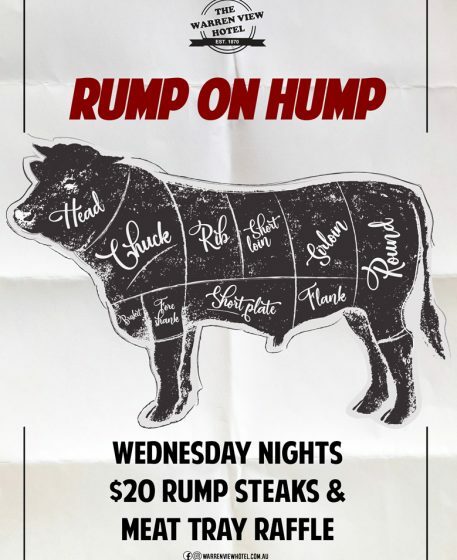 famous meat tray raffle and $20 Steaks all night!